Cleethorpes AC’s Winter 3K & 5K Prom series is held between November and March each year on Cleethorpes Promenade. Race Start Line: Promenade near Kingsway Kiosk, Cleethorpes. Registration: Please collect numbers from the Race HQ between 6:00pm and 6:30pm. There is a time limit of 40 minutes for this race. No entries on the day will be accepted – this is strictly a pre-entries only event. 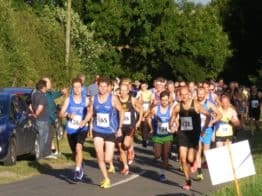 The race is restricted to 150 competitors due to safety reasons. Minimum age is 11. Wheelchair users wishing to enter this event are asked to contact us prior to the event for details on how to enter. Headphones are strictly not permitted during the event as per UKA Rules. If the race is cancelled due to adverse weather conditions there will be no refunds given. 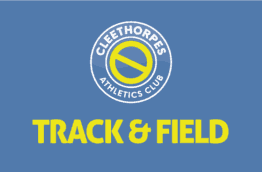 Any funds, after expenses, will be donated to Cleethorpes AC’s Charity of the Year. Please check the club’s facebook page for on the day event information. If you wish to transfer your entry to another runner, you will need to keep the email received when entering and follow the instructions. This will be the only way to do a transfer. The last day to transfer your entry to another runner is Sunday 29th October 2017. Entries: Entries are taken on the night at the Race HQ. 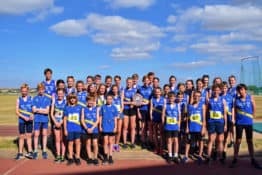 This event is open to junior athlete’s aged 7+. Any senior beginners wishing to enter please contact us. Registration: Please collect numbers from the Race HQ between 5:50pm and 6:10pm. There will be a backmarker for these races to ensure the safety of the children.